We also are a mobile vending business. 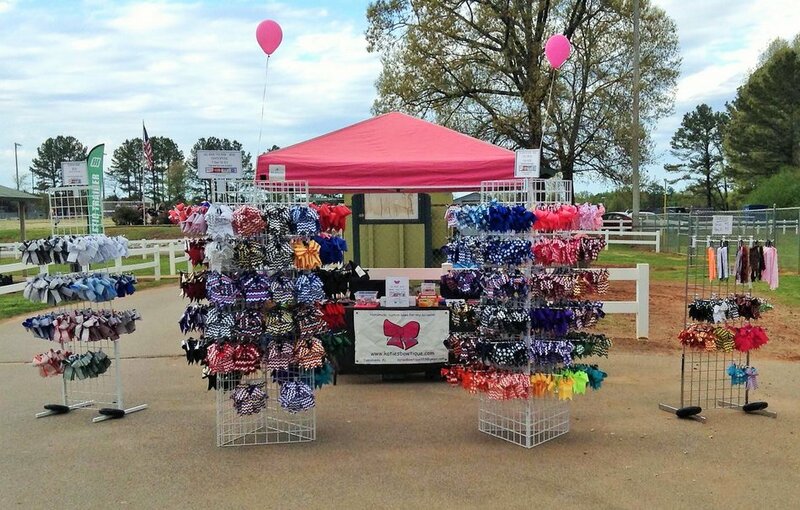 We setup and sell bows at softball tournaments, camps, and craft shows. We stay booked from tournaments who keep asking us to come back. Here is our schedule for the near future. If you are interested in booking us for your event, please email us at katiesbowtique123@gmail.com. We offer a percentage of sales or flat fee back to the tournament as an appreciation for letting us attend.